Vandaag kwam mij dit vrolijk stemmende persbericht tegemoet. De camera’s zijn aan het rollen op de set van Hellboy 2: The Golden Army. Action-Thriller Reunites Actors Ron Perlman, Selma Blair and Doug Jones For Latest Astonishing Hellboy Adventure.Budapest, Hungary, June, 2007 – Principal photography has begun on the action-thriller Hellboy 2: The Golden Army from writer/director Guillermo del Toro and film producers Lawrence Gordon (Hellboy, Lara Croft: Tomb Raider, Die Hard), Lloyd Levin (Hellboy, United 93) and Mike Richardson (Hellboy, Gone). The film will be released on August 1, 2008.Del Toro, who most recently brought the Oscar®-winning elaborate fantasy Pan’s Labyrinth to the screen returns to helm the second installment, starring Hellboy alums Ron Perlman (Outlander, The Mutant Chronicles), Selma Blair (The Fog, In Good Company), and Doug Jones (Fantastic Four: Rise of the Silver Surfer, Pan’s Labryinth). With a signature blend of action, humor and character-based spectacle, the saga of the world’s toughest, kitten-loving hero from Hell continues to unfold in Hellboy 2: The Golden Army. Bigger muscle, badder weapons and more ungodly villains arrive in an epic vision of imagination from del Toro.After an ancient truce existing between humankind and the invisible realm of the fantastic is broken, hell on Earth is ready to erupt. A ruthless leader who treads the world above and the one below defies his bloodline and awakens an unstoppable army of creatures. Now, it’s up to the planet’s toughest, roughest superhero to battle the merciless dictator and his marauders. He may be red. He may be horned. He may be misunderstood. But when you need the job done right, it’s time to call in Hellboy (Ron Perlman).Along with his expanding team in the Bureau for Paranormal Research and Development — pyrokinetic girlfriend Liz (Selma Blair), aquatic empath Abe (Doug Jones) and protoplasmic mystic Johann — the BPRD will travel between the surface strata and the unseen magical one, where creatures of fantasy become corporeal. And Hellboy, a creature of two worlds who’s accepted by neither, must choose between the life he knows and an unknown destiny that beckons him. 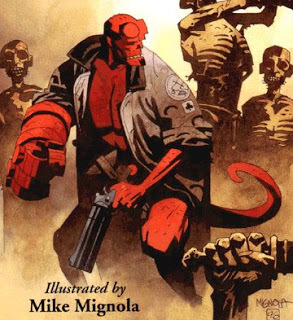 The screenplay for Hellboy 2 is written by Guillermo del Toro, from a screen story by del Toro and Mike Mignola, based upon the Dark Horse comic created by Mike Mignola and the 2004 motion picture Hellboy. The first installment, released by Revolution Studios in 2004, earned $100 million at the worldwide box-office and became a cult sensation when released on DVD. The character continues to be a top-seller in publishing and collectibles and has been expanded into best-selling animation and games. Hellboy 2: The Golden Army will film in both Budapest and the United Kingdom, with post-production based in London.En dat is goed nieuws. 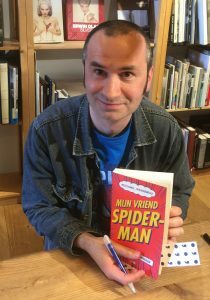 De eerste Hellboy zette een interessante wereld neer waar magie en harde superheldenactie goed samengingen. Met een voortreffelijke rol van Perlman en eyecandy in de vorm van Selma Blair. Nog een jaartje wachten. 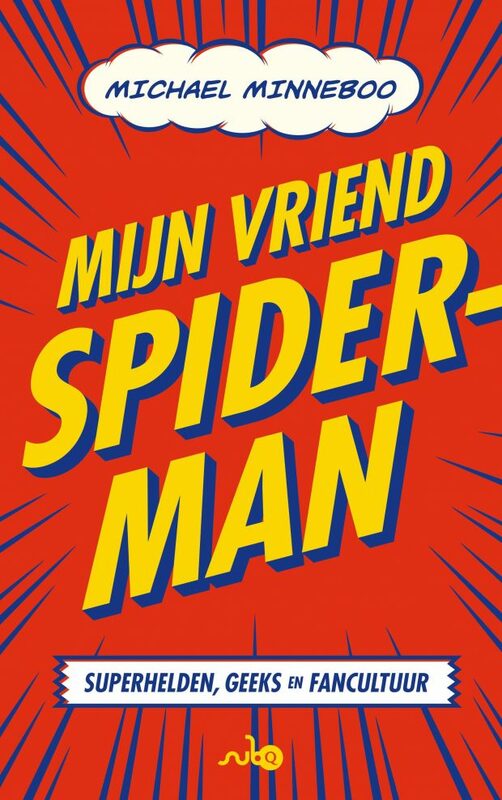 De tussentijd biedt een mooie gelegenheid om de strips weer eens te lezen. Ik kan er kort over zijn..
en gelukkkg dus wel door del toro. en met selma.